Ongoing negotiations on a new global development framework have raised fears that existing targets may be forgotten — and gains lost — once the Millennium Development Goals expire at the end of 2015. This is why world leaders appear to be honing in on ways to keep the momentum going on hard-to-reach MDGs while driving progress toward new, ambitious goals. In line with this sentiment, a group of top multilateral and bilateral donor officials including the head of the U.N. Development Program have laid out such a strategy for global health. 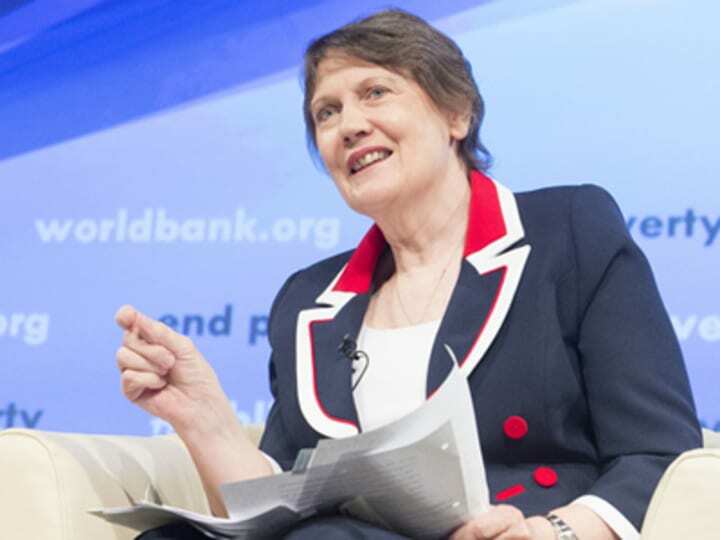 UNDP chief Helen Clark offered a compromise that could be a model for other post-2015 goals, saying that any health goal should keep sub-targets for HIV/AIDS and other diseases. The integration of health and development priorities in the post-2015 agenda has been hotly debated as the specific focus on treatment and prevention of AIDS in the MDGs has been critical to success in fighting the spread of the disease. Advocates say efforts to expand the battle against HIV and AIDS to address the social drivers of the disease are essential to eliminating it. A central tension in the process to outline the new development goals is how to make them broader, more flexible, and more integrated than the MDGs while ensuring that shifting priorities don’t threaten past gains. A likely compromise, it seems, will be to broaden overall goals while maintaining specific targets that are still relevant. Members of the World Bank panel, which included Clark, UNAIDS director Michel Sidibé, and World Bank President Jim Kim, all agreed on the urgent need to broaden the focus of AIDS policy around the world beyond drug delivery, treatment and prevention programs. Sidibé called the old paradigm of AIDS relief “as just a matter of a pill” obsolete. “We need to really think about the paradigm which will bring people to the center of our approach and not focus only on the disease,” he said, citing gender-based violence as an area that needed to receive more attention. Clark used UNDP’s advocacy efforts against discriminatory laws that marginalize populations most at-risk of contracting AIDS as an example of one of the agency’s most effective tools for fighting the disease. “We see bad law as driving the epidemic and really standing in the way of effective responses,” she said. The broadening of AIDS relief efforts beyond treatment of the disease is viewed with skepticism by those who see evidence of mission creep, but the global fight against the disease has often served as a model — and a rallying point — for other global health and development goals. Clark, Sidibé and Kim were pointed in their criticism of those who had doubted the efficacy of AIDS treatment for the poor in the past, explaining that resistance as evidence that they could prove the skeptics wrong again. “Let’s remember that reasonable people were angrily opposed to treating 25 million people in Africa who are living with HIV,” said Kim, drawing a parallel to those who doubt the practicality of the efforts to promote universal health care and eliminate extreme poverty, issues he sees as essential to the battle against the disease.